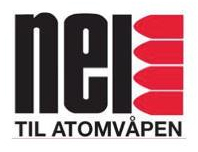 Unkempt notes: In the years 1979–1986 I was very much involved in the Norwegian movement for nuclear disarmament (Nei til atomvåpen). 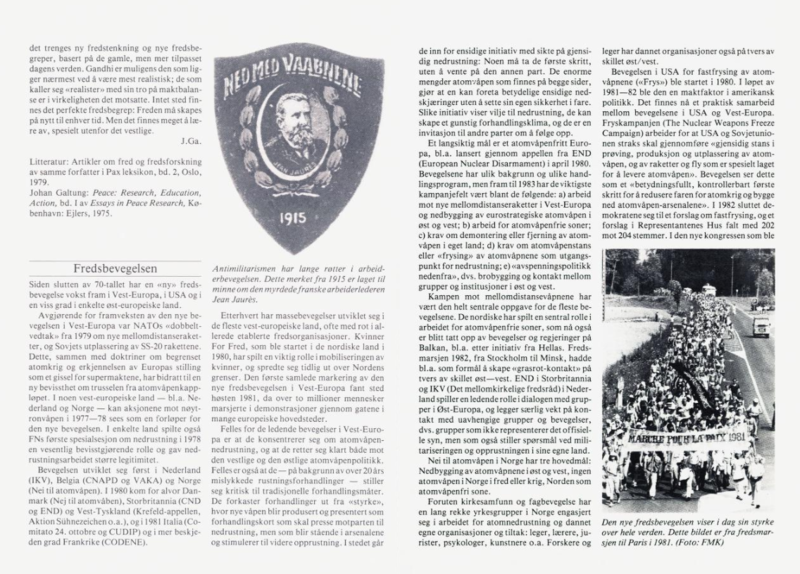 A few articles which I wrote at that time, may have some historical interest. The European Nuclear Disarmament Appeal for a nuclear free Europe was issued in April 1980 and circulated by the Bertrand Russell Peace Foundation. The main authors were E. P. Thompson, Mary Kaldor, Dan Smith and Ken Coates. The appeal was launched at a press conference in the House of Commons. 12–14 September the END activist conference was organised in London in the Pax Christi office. It was a small meeting with participants from Belgium, Denmark, Finland, France, West Germany, Great Britain, Ireland and Norway. It was the first international meeting after the publication of the appeal. Later came the large END Conventions (1982–1991). There are few photographs from the meeting. I therefore publish a few of mine. The woman to the right is Peggy Duff, who died of cancer a few months later. In the second photograph, she is standing next to Bruce Kent. The young man’s first name was Konrad. 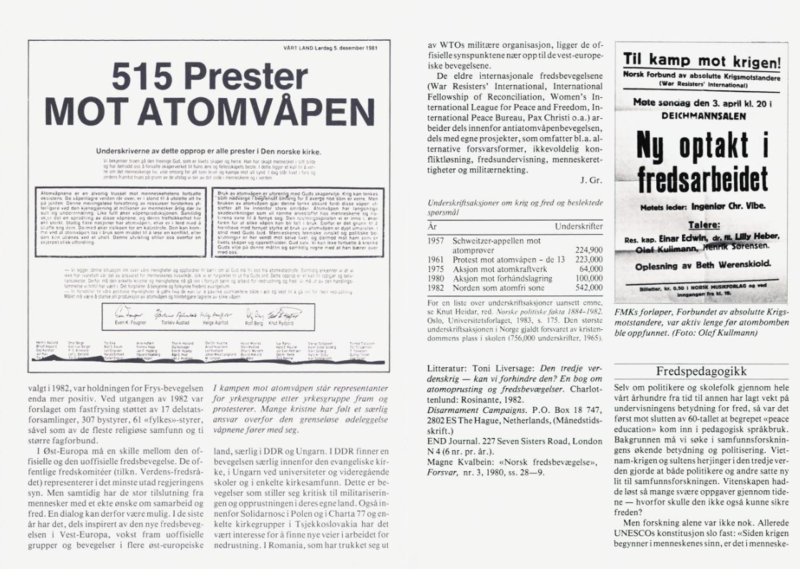 In 1981 the International Peace Communication and Coordination Centre (IPCC) was established to facilitate communication and debate among the independent West European movements for nuclear disarmament. It was run by the IKV (Inter Church Peace Council) in the Hague. IPCC made no decisions but organised meetings twice a year and issued a newsletter. One of the early meetings was in Paris in September 1982. The meeting was also attended by Randy Kehler from the Nuclear Weapons Freeze Campaign in the US, whom I already knew from the pacifist peace movement in the 1970s. The photograph below is from the Paris meeting.